There are so many low-volume options out there that Ocun decided it was time to make something for the bigfoots of the climbing world. Utilising the 3-Force system that prevents the shoe from twisting when stood on edges and a highly asymmetrical last, the Ocun Ozone Plus excels on technical face routes with lots micro-edges, but performs just as well on the overhang. A downturned profile and medium-stiff midsole allow you to hook onto steeper holds and perform technical manoeuvres like toe-hooks, without being too uncomfortable and being supportive enough to be worn on longer climbs. Ocun's signature seamless heel cups enhance comfort in the heel area without any annoying or painful hotspots for focussed climbing performance, and the synthetic microfibre upper won't stretch at all so you have the exact same high-performance throughout the entire lifespan of the shoe. Climbing shoes that fit right can be extremely difficult to find. 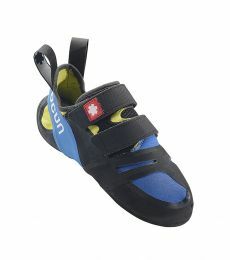 If you struggle to fit climbing shoes due to wider feet, Ocun's Ozone Plus may be the shoe you're looking for. - Yes, they use Vibram XS Grip (NOT XS Grip 2), which I'm guessing is to save money. It's certainly not as grippy as the Grip 2 on my Scarpa Instinct VSRs, but it's not far behind and it's more durable. My guess is that it's somewhere between the XS Edge and XS Grip 2 - the perfect balance of edging, smearing AND durability. - They are generous with the sole thickness, but, importantly, also with the rubber on the toe region. My Scarpas have a reasonable amount of rubber on the sole but very little on the toe. This is stupid, because even with perfect footwork you'll blow through the toe long before you wear out the sole. I honestly never thought I'd find a pair of shoes that does everything. I definitely never ever thought I'd find such a pair that also fit my wide feet. Never again will you have to buy a slightly longer shoe to fit the width of your foot then have a little bit of dead space in the toe that makes stepping on small holds very precarious. The asymmetry and width of this shoe is spot on for my feet (my big and second toe are about the same distance from my heel). Easy to get on and off, these shoes are a joy. And I hear they're making a version with split soles, which I guess will be nice and flexible for even more delicate footwork. Can't wait! For an intermediate climber (6c onsight, 7a+ after a few tries) these are fantastic! World's best rock shoes for the wider foot. After 55 years of rock climbing of all grades up to E7 I am on my 3rd pair of ozone plus. Even after all this time climbing I can't believe what a vast difference these shoes have made for me just wish someone had made them sooner. These are great for the fat-footed climber (like myself). 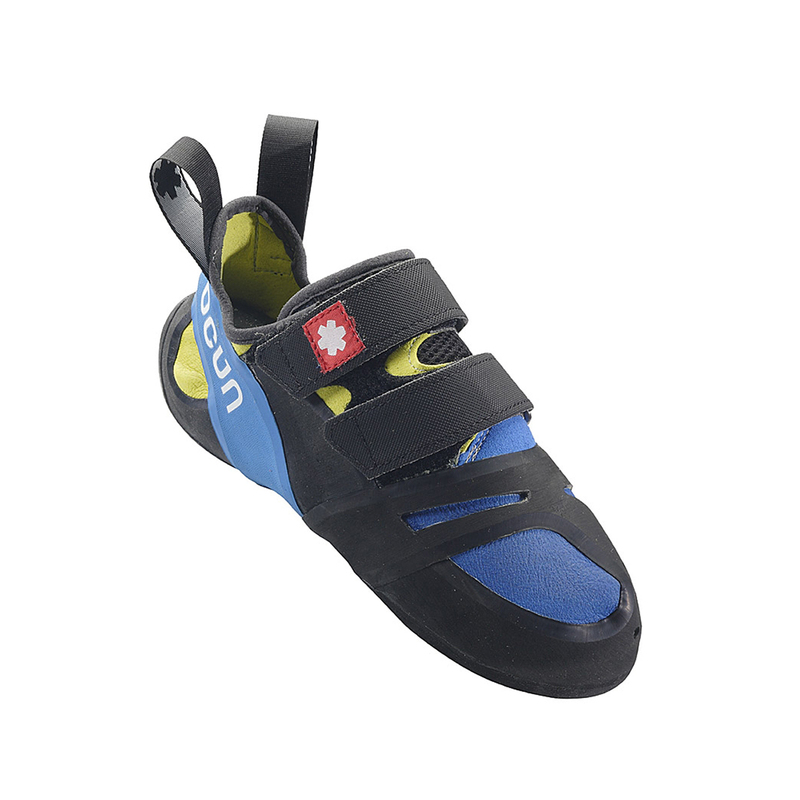 Many higher/mid-performance climbing shoes these days seem to disproportinately favour thinner-footed climbers... OCUN aim to challenge this by providing a plus-size version of their mid-performance shoe the ozone. It is the first shoe I've tried on that I've managed to fill in all dimensions (usually having to up the size in order to get my fat feet into the shoes). I've only had them for a couple of weeks now, but they perform well both indoors and on rock on smaller and slabby-smeary footholds. I've not noticed too much stretch at the moment, but as I said, it's only been a couple weeks. All in all I would reccomend this product to anyone who usually has difficulty finding shoes to fit their feet. By comparison to other plus-size shoes (Boreal Joker) they perform much better and are more aggressive.